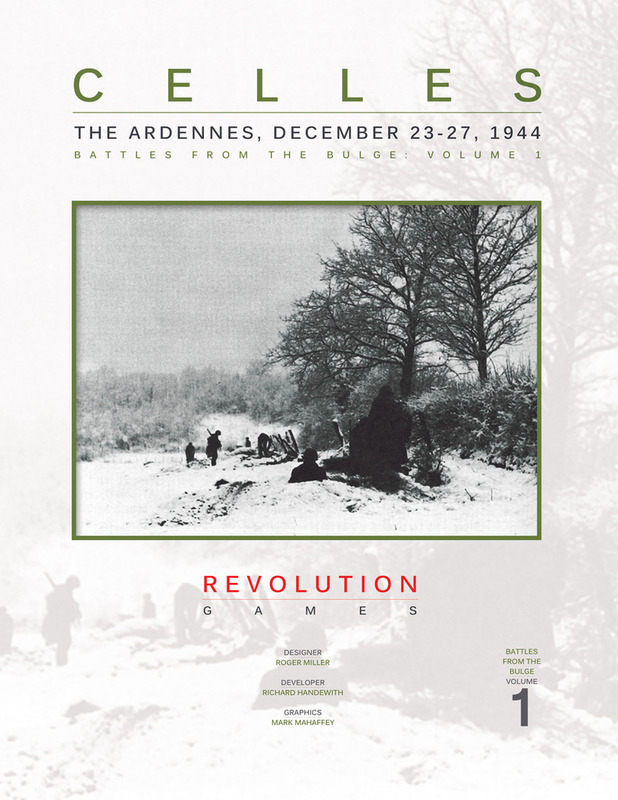 Celles is a fast moving simulation of the fighting at the high watermark of the German Ardennes offensive, AKA "The Battle of the Bulge". The Germans are advancing towards the Meuse River and are running out of fuel and time to force a desperate crossing to achieve Hitler's goal of ultimate "Victory". The Allied forces are both trying to block the German advance and begin a counter-offensive to destroy the German Panzer Divisionen. Alternating random activation by formation provides players with uncertainty and excitement. Each turn, players receive a varying number of activation (not all formations may move and some may move more than once!) to represent fuel shortages, aggressive generalship, command uncertainty, and piecemeal reinforcements that provides players with a rich historical feel. After units move, strengths are reduced to simulate fatigue and lack of defensive preparation. This is a game for players who love to counter-attack!